A bit of background on Max Reily, new to Wizzley, older, but still fairly new lensmaster on Squidoo, aspiring writer, blogger, poet, and all 'round student of life. Max Reily (with just one "L") is the online name of Maxine Davis. I'm a retired nurse living in Ohio. The name was arrived at in a roundabout way, when I had to make up a user name for a site, and everything I tried was taken. Finally, I teamed up my first name (which I usually shorten to Max) and the nickname of my guy, which is "Reilly", as in Reilly, Ace of Spies. (nothing like his real name, at all). But, alas, Max Reilly was also taken. That's when I became Max Reily. The name has served me well--somehow it's never been in use anywhere I've signed up since. I've lived all of my life in a small city of about 40,000 in Ohio, U.S.A., but I have done a fair amount of traveling. 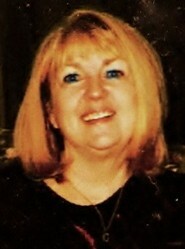 I was a nurse for 35 years, before retiring. In those 35 years, I did every sort of nursing from working on a surgical floor in a hospital, to home care, to office work, nursing agency co-ordinator, and certified Alzheimer's nurse. Now I'm a stay at home Grandmom. I have a grown daughter and son, who have kindly provided me with three grandkids, ages 7, almost 8, and 8. I live with my daughter and soon-to-be 8 year old grand-daughter, two dogs--one, an overgrown Black Lab, the other, a sweet, fuzzy, cocker mix. Rounding out the family are a small but spirited tail-less cat, and one of the biggest goldfish in captivity. What Does Max Reily Do? Now that I'm not working, you'd think I could do whatever I want, right? Well, not exactly. During summer vacation, I babysit for my school-age granddaughter Monday through Friday, which cuts into my writing time somewhat. Fortunately, I've always been a night-owl, so I do a lot of writing between 10 pm and the wee hours. So far, most of my online writing is on Squidoo, where I have 33 "lenses" published and am currently working on more. I'm also on Redgage, where I have some photos, and a few blog pages, Amplify, and now Wizzley. I have a website-in-progress, and am working on a new Zazzle store. I write about a variety of topics--main interests are English History, my hometown, places I've traveled, books, poetry. I love learning--about anything, but especially history, English literature, linguistics and poetry. I'm curious about spirituality, self awareness, and the concept of time travel, and passionate about animals and their welfare. My youngest daughter wants to be a nurse and we too live in Ohio. So good to meet you and love your work, or craft shall I say? Hi Max...welcome to Wizzley. I'll have to check out your Squidoo site. Best of success to you. I'm amazed at the number of nurses and retired nurses who are writing online! Who would have guessed there would be such an affinity! Hi Max! I think we have several things in common: grandmother, writing, poetry, Squidoo, Zazzle. I'm not a nurse, but I'm married to one. How fun that you are also a nurse, and I am so jealous you have already retired, Good for you!! I've been going for 41 years and still have 3 years to go. Oh well. wonderful to get to know you. Thanks for the intro. Love your puppies too. I will certainly have to find you on Squidoo.